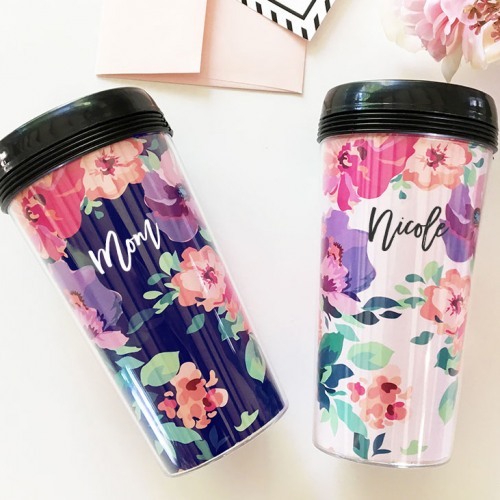 Sip on your favorite warm beverage in style, with this personalized floral coffee tumbler. Each comes with a twist on lid and is adorned with a floral print as well as her name. Makes the perfect gift for any coffee-loving girl!